THANK YOU for your support, sharing these posts, announcements AND for adding YOUR ENERGY with mine to raise the vibration for ALL of US!!!! Terrie Marie, D.Ms, the Angel Mentor, helps Executives, Coaches and Entrepreneurs activate their Angel Dream Team Executive Board of Directors, raising their inner wealth frequency, accelerating their income, enhance the Law of Attraction, and improve relationships, transforming dreams into tangible reality! 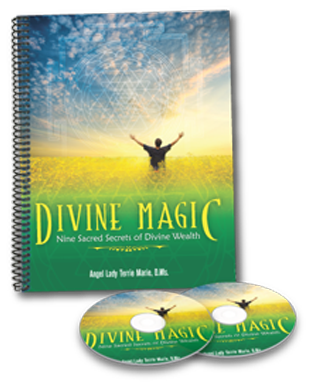 Visit the Angel Lady’s website for free tips, how-to-articles and 3 Free Videos on Angel Archetypes and Your Inner Wealth Frequency! “My Angel Dream Team has been helping me for several months now to clear the space of activities and patterns that no longer serve me in my business and personal life. 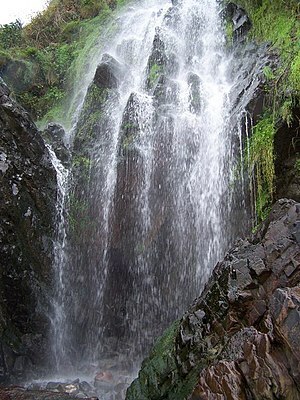 Through eliminating these “non-value added” activities much clarity and simplicity has emerged on a daily basis. As a result, I have been creating new opportunities and working with higher vibration projects that are more fun and lucrative than anything else I’ve been doing previously. Alchemy is a Mystical term for the transformation of heavy physical matter energies into higher vibration energies. Dense physical energy is heavy and laden with fear based thoughts and emotions. It is also laced with positive loving thoughts and emotions. Merlin the Mystic Magician will, when asked, assist you in reconnecting with that special spark of magic within you, within your heart center. In seeking his assistance, the truth of what is yet to be made manifest into physical form is part of the excitement and the anticipation! Heed the call within as you go within your own actions, thoughts and emotions. What is it you are truly focusing on? Do you focus on what has not yet manifested into physical form? Or do you choose to focus on the outcome of all you desire? The Master of Alchemy is ready to help you shift from within beginning with your energy. Remember, energy is everything and everything is energy. As you open yourself to exploring the Inner World of the Mystic, the Magician of days long since past encourages and supports your expansion from the inside out and from the outside in. Allow you to surrender the fear of the unknown as your leaden, fear based negative energy transforms in a higher vibration of golden light, that of your Higher-Self expanding beyond your current vibration, your current sense of knowing. Crystals and Minerals associated with Merlin the Mystic Magician are Amethyst, Ametrine, Clear Quartz, Rainbow Quartz, Peacock Ore, Tangerine Quartz and Red Aura Amethyst. Child of physical matter, do not dwell on that which is now behind you. Do not dwell on that which has yet to manifest into physical form before you. Choose instead to focus upon the light bringing your inner awareness into alignment with your truth, the truth of your Soul and that of your Higher-Consciousness. The light always, always, always, reveals all in the light. Be willing to step into the light, allowing all that would seek refuge in the corners of darkness and shadow to be cleansed, healed and transformed into a higher vibration enabling you to move forward away from all that would seek to hold you from your good. There is nothing more powerful than that of love and light. There is nothing more powerful than the spoken word. Bring all together as one, this is the creation of magic within and without. As above so below. As below so above. As within so it is manifested in kind into physical form around you. Believe in the magic within, reconnect with your truth allow it to shine forth before you. *channeled through Terrie Marie the Angel Lady, M.Msc. Words are words until they become spoken from the heart space within. Words are the magic bringing to life all that is yet to be, all that unfolds before you with patience, understanding and with faith and trust knowing you are One with Divine Source. Merlin the Mystic Magician holds his golden staff of light casting out doubt, fear and confusion clearing the way for clarity and alchemical transformation from heavy physical matter energy into the golden energy of Higher-Consciousness and light of expanding awareness. Alchemy is by definition the changing of base metals into Gold. Spiritual Alchemy is changing or shifting dense physical energy into higher Spiritual energy. Violet is the highest color ray vibration, cleansing and purifying all it comes into contact with whether it be physical or Spiritual in origin. Meaning, when cleansing the physical body or Chakra energy centers utilizing the power of the color Violet enhances the depth of the cleansing. What is Violet Flame Alchemy? It is the combination, a unique integration of both physical realm and that of the Realm of Spirit transformation. Transformation occurs as less desirable thought patterns and emotions are transformed into those of non-judgment and unconditional love and acceptance. St Germain of the Violet Flame assists all who seek to be reminded of their own Divinity, releasing limiting beliefs. As you release self-imposed limiting beliefs, you free your inner-Self, rising above the mundane issues of everyday life in the physical realm. It is at this point you are capable of accepting unconditional transformation within and in all directions of time and space, on all levels. This Ascended Master resides in the highest vibrational frequency known to humankind, that of the Violet Flame. The Violet Flame extinguishes all manner of impurity, burning away collected negative energies within your physical, mental and emotional energy bodies. To connect more directly with St Germain, consider utilizing the following crystals and minerals to assist you: Tangerine Quartz, Carnelian, Citrine, Amethyst, Sugilite, Ametrine, Rainbow Quartz, and Peacock Ore. It is with and through the Violet Flame that enlightenment and ascension are accessible. Yes, there are many paths to enlightenment and ascension. The most important point or issue to consider is this, follow your path. What is best for your highest and best, your Higher-Self is what resonates with you. All things, all ways, all thoughts, mindsets, all that does not resonate with you leave behind you. Do not attempt to fit you into someone else’s path, for your path is yours and yours alone. I merely share with you the path that continues to unfold before me. My sole intention is to assist you along your path and ultimately fulfilling your Life’s Purpose, nothing more, nothing less. There are countless Chakra energy centers throughout your entire physical body and in your Aura and Ethereal energy bodies. If your Chakras become blocked or store too much unwanted energy, your physical body may begin to manifest dis-harmony, irritability and possible discomfort. As you go about your daily activities you collect energy, some positive and some negative. It is not something that can be avoided. Collecting and storing energy within your physical body can be kept to a minimum. Energy can also be cleansed and balanced bringing energy centers, your body and your Aura back into alignment. energy your Spirit, thoughts and your emotions also discharge all that is not needed for your overall health. Ore then aligns all your energy centers simultaneously. As you and your energy centers are aligned, your entire physical body and all your energy fields and bodies are also aligned and integrated one with the other for optimal health and vitality. Fluorite is another incredible mineral which has the capability of aligning your entire physical, mental and emotional energy bodies with your Aura and Ethereal energy fields. To begin self-healing, gather together a large specimen of Peacock Ore, a good size piece of Fluorite and your Clear Quartz healing crystals. Put on soft music in the background to occupy the ego-mind chatter, allowing you to release all the stresses of the day. Lay on a flat surface face up. Place the Peacock Ore at your Crown Chakra, Fluorite on your Solar Plexus and hold your Clear Quartz healing crystals in your hands. Remember the crystal in your left faces your wrist while the point in your right hand faces outward towards your fingers. Visualize white light begin to flow into your Crown Chakra down into the Peacock Ore and through your body all the way to your toes and flowing down into Earth Mother. Rest in the stillness for a few moments and begin to visualize each of your energy centers clear, balanced and spinning in total harmony one with the other. The Fluorite, which has been placed on your Solar Plexus, begins to infuse your physical body and your energy centers, integrating and aligning your entire Be-ing. Once you have completed your self-healing treatment session, remember to re-charge the crystals and minerals by rinsing them in cool water and placing them in the Sun for a few hours. This simple, yet very effective technique is most effective when done at least once a week. If you are a healer or Light-Worker, you may choose to perform this method of self-healing more often. Keeping your energy balanced is very important to your overall health, enabling you to receive messages and guidance from Angels and from Spirit much more easily. 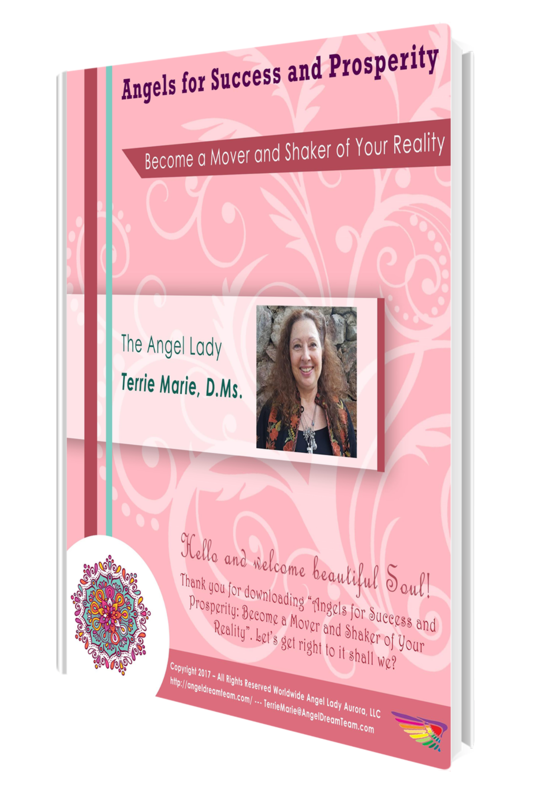 Connect with Angels every day when you click this link http://angelladytm.com/ from Terrie Marie, the Angel Lady and Desert Rose Healing Arts! Enter your name and email address to begin connecting with Angels! Peacock Ore, also known as Chalcopyrite glistens in the sunlight. The colors vary with each mineral specimen. There are pinks, blues, greens and combinations of each creating a visual delight! 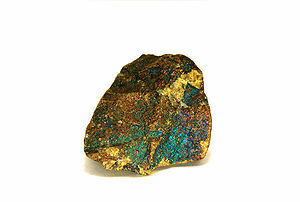 Chalcopyrite is most often found to contain sparkles of a Gold like substance which is Pyrite. It is known as the Chakra Stone. As the Chakra Stone, it will cleanse, balance and align all your Chakra energy centers individually. Once all are aligned, cleansed and balanced individually, this incredible multicolored stone will simultaneously align your entire physical body with that of your Spiritual and Ethereal energy bodies. As you work with Chalcopyrite, it will assist you in shifting your inner Self, aligning your thoughts and emotions in a very soothing, calming way. In addition, Peacock Ore resonates more finely with the Third Eye, allowing the user to re-discover long forgotten knowledge. It is the key to reconnecting yourself with ancient esoteric knowledge. Hold it above or in front of your Third Eye during meditation. It will in time, depending on how open you are, assist you in awakening your inner sight. Among the many benefits of Peacock Ore is the grounding of excess nervous energy, allowing the body and mind to release stress related emotions which in turn cause an imbalance throughout the body. Being aligned from the inside out provides choices not available when you are out of alignment. *Angelic Realm Association: Archangel Metatron, whose name means, He Who Walks with God, will assist you in aligning your entire Be-ing, bringing into balance all your energy centers in your physical, emotional, mental, Spiritual energy bodies and in your Auric and Ethereal energy fields. It is part Copper and part Pyrite. Pyrite is commonly called “Fool’s Gold”. The metaphysical properties of Pyrite are prosperity and abundance, manifesting great wealth and burning away that which is no longer desired or needed. The metaphysical properties of Copper are warmth and healing, resonating with the Solar Plexus Chakra, the energy center for manifestation, self-empowerment. As with many multi colored stones and mineral specimens, the interconnectedness of each of its separate components, creates an entirely unique energy and color vibration. Each stone displays a unique array of colors, mimicking the tail feathers of a male Peacock in his entire splendor.